John Abraham will be next seen in Robbie Grewal directorial Romeo Akbar Walter (RAW). The movie is slated to release on April 12 and is based on the true story of a RAW agent. 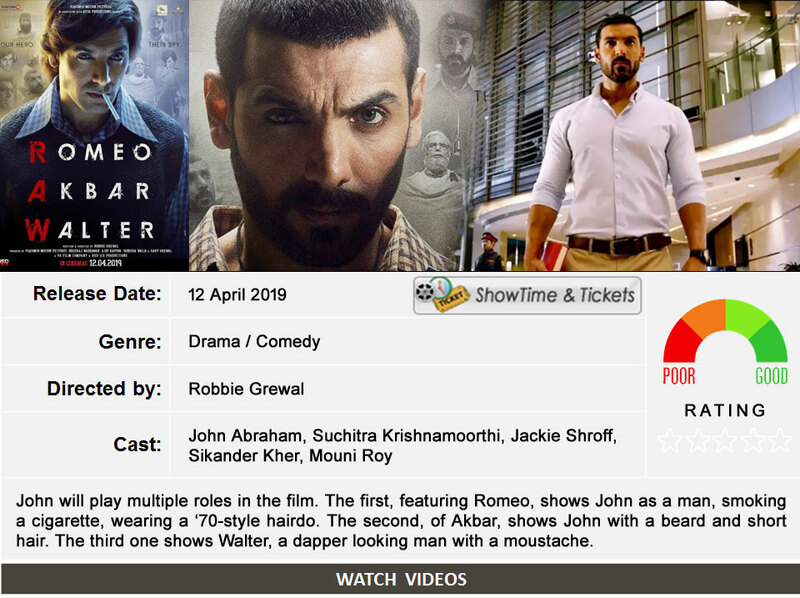 John Abraham has said that his upcoming film Romeo Akbar Walter (RAW) is an edge of the seat, true-blue Indian espionage thriller.